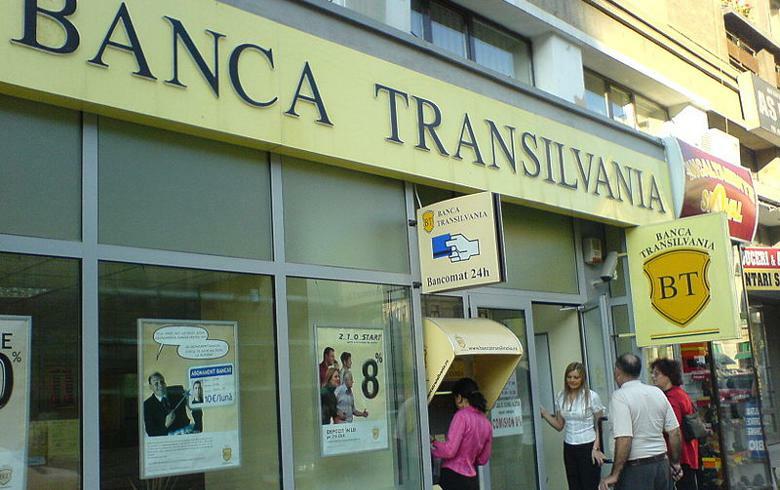 BUCHAREST (Romania), November 15 (SeeNews) – Romania's Banca Transilvania [BSE:TLV] said on Tuesday its net profit more than doubled to 656.9 million lei ($156 million/145.5 million euro) in the first nine months of the year, boosted by an increase in loans to retail clients and small and medium sized enterprises (SMEs). "We are pleased that the first nine months confirmed the positive trend from the beginning of the year, by means of new financing facilities approved and growth recorded especially on the retail and SME segments. The bank's results are very good, reflecting profitability and operational efficiency," Banca Transilvania CEO Omer Tetik was quoted as saying in a statement. Almost 122,000 new loans were granted by the bank to retail, SME and corporate clients in the first nine months of 2016, the bank said in a press release. The bank's operating income reached 2.12 billion lei during the January-September period, up 49.5% from the same period of 2015. At the end of September, its assets amounted to 48.14 billion lei, up 1.68% from end-2015. Net loans amounted to 26.4 billion lei - up by 5.3% as compared to the end of 2015. The loan-deposit ratio increased to 72% in the nine months through September, up from 65% at the end of December 2015, whereas the cost-income ratio dropped to 40%. Non-performing loans accounted for 5.55% of Banca Transilvania’s total loan portfolio at end-September, down from 9.75% at end-2015. The coverage of non-performing loans with related provisions and mortgage collaterals remains at a comfortable level of 123.32% and in line with the bank’s risk appetite. During the January-September period the bank booked net expenses with depreciation adjustments and provisions of 510.1 million lei, including the impact of write-offs amounting to 1.71 billion lei. The largest portion of the provisions booked as expenses in the third quarter of 2016 serves the lender's endeavor to enhance the quality of its assets and is in line with the bank’s conservative approach in terms of credit risk management, the lender said. In January, Banca Transilvania wrapped up a merger with Volksbank Romania (VBRO), which it bought from Osterreichische Volksbanken AG, Groupe BPCE, DZ Bank AG and WGZ Bank AG. At end-September, customers acquired from Volksbank Romania contracted about 70,000 products offered by Banca Transilvania, the press release showed. At group level, Banca Transilvania, which also includes BT Asset Management, BT Direct, BT Leasing, BT Securities, Factoring company, BT Finop Leasing and Medicredit posted a net profit of 698 million lei in the first nine months of the year, down 69.4% compared to the same period of 2015. In July, Banca Transilvania increased its share capital by 620 million lei , by issuing 620 million shares with a nominal value of 1 leu. Also in July, the bank opened a third branch in Italy's capital Rome, in Villanova area. In March, the bank said it will distribute 1.2 billion lei in cash dividend for last year. Blue chip Banca Transilvania is the largest Romanian privately-owned bank. It posted a record-high profit of 2.42 billion lei for 2015, a fivefold rise on the year. Its assets grew 33% last year to 47.2 billion lei at end-December, while operating revenues increased 14.3% to 2.28 billion lei. Its shares were up 0.64% to 2.3750 lei on the Bucharest Stock Exchange, BVB, at 1407 CET on Tuesday.